Flight review according to FAR 61.56. Instrument proficiency according to FAR 61.57 (d). Complex aircraft endorsement according to FAR 61.31 (e). Familiarization with U.S. airspace, U.S. radio communications, traffic regulations and procedures at U.S. airports. 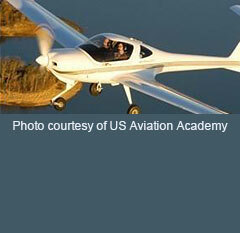 Connection with a professional flight school in Texas for all certificates and ratings. Training in Texas can be organized (Learn to fly in Texas). Explanations can be given in English or in German as students desire.